Remember how excited we were when Gary Ryno referred us to ATI? Well, we’re feeling all of those feels one more time because he did it again when he sent David Endicott and the fine folks at Music4Life our way. Thanks, Gary! 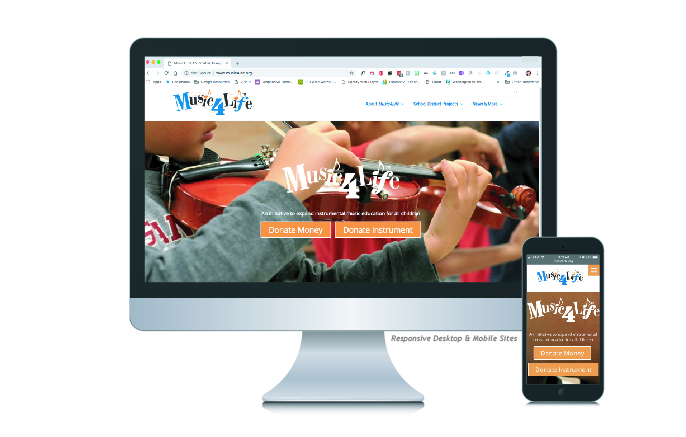 Music4Life is a charity that we can get behind and were happy to design and build their website and refresh the content while we were at it. If you find yourself in need of a place to donate an instrument or some hard earned cash to help students experience the joy of playing an instrument, now you know where to go!